Add country-cottage style to your living room with this rustic end table. The plank style wood surface is perfect for lamps, books, or drinks. Finished in a distressed brown with exposed metal corners for a wholesome, organic look and feel. Pair with the matching country wagon coffee table for the complete look. 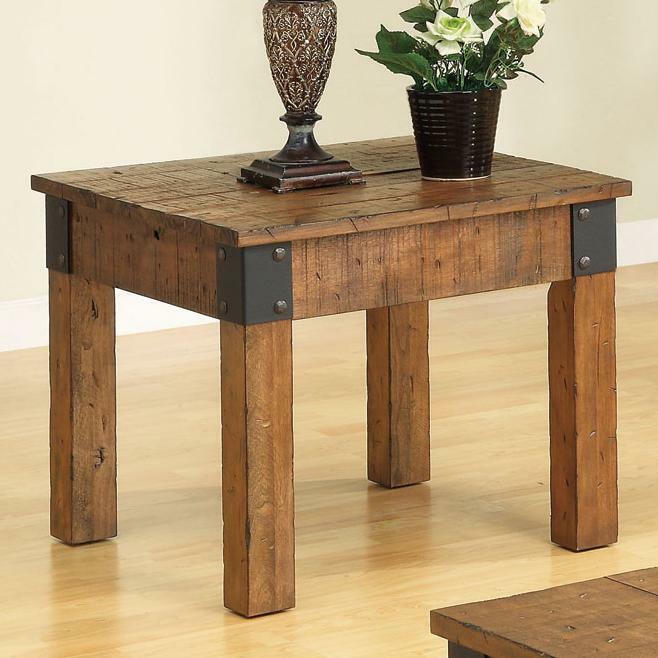 The Accent Tables Distressed Country Wagon End Table by Rooms Collection Two at Rooms Furniture in the Houston, Sugar Land, Katy, Missouri City, Texas area. Product availability may vary. Contact us for the most current availability on this product.